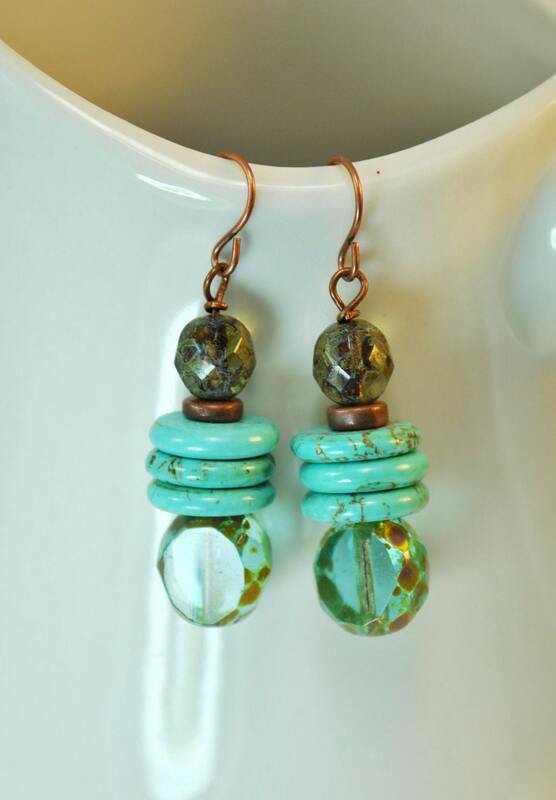 One of a kind Southwestern look of turquoise and copper! 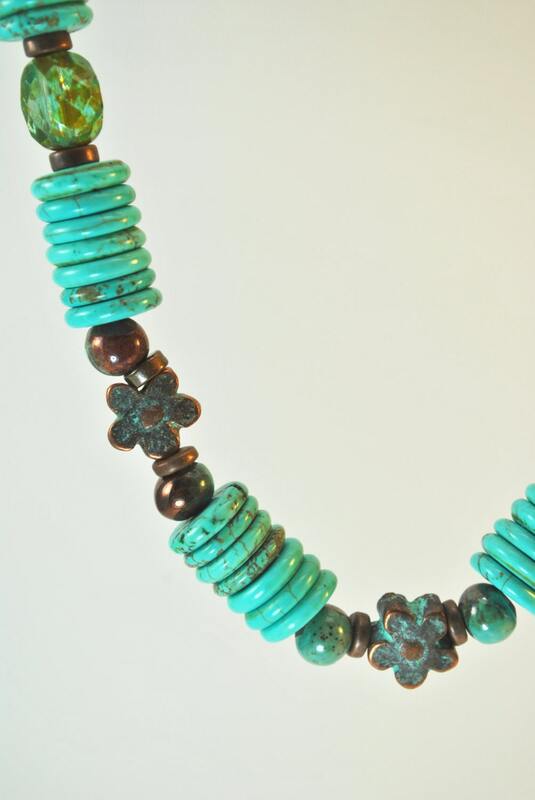 Turquoise howlite beads, gorgeous teal Czech glass window cut Picasso beads*, special Greek Mykonos copper and teal patina flower and round beads combine for a beautiful necklace set. 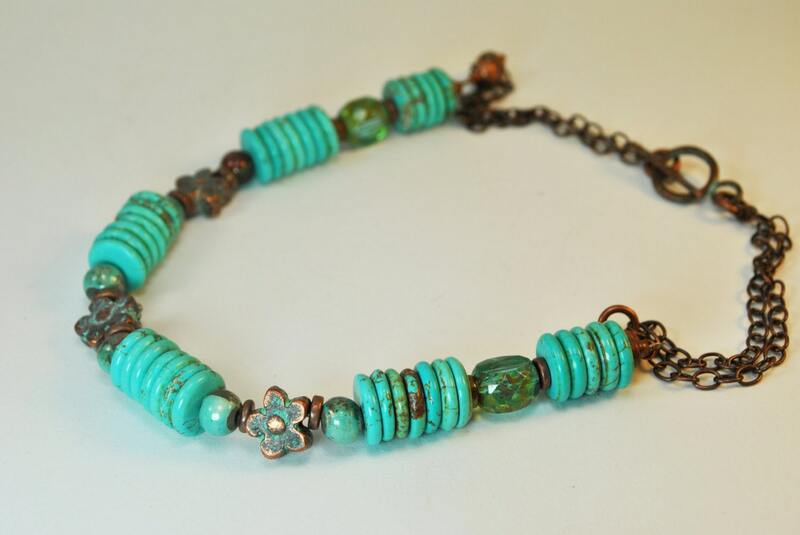 Copper chain is doubled and completed with a Greek Mykonos teal patina toggle clasp. Earrings included. 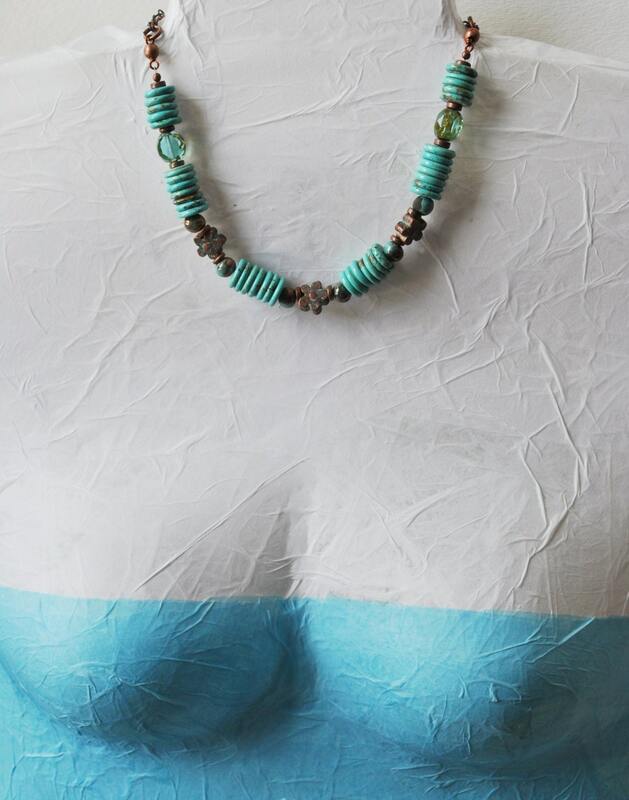 * Picasso is a fun effect that sometimes resembles natural gemstones at first glance. 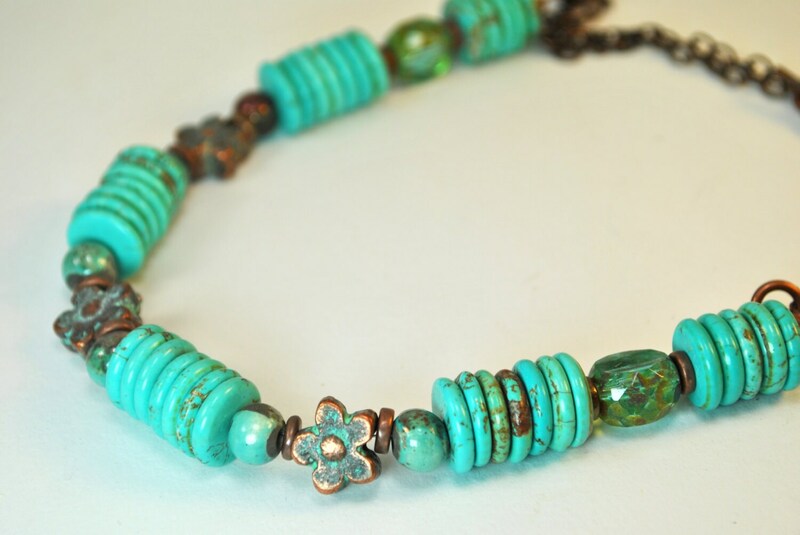 The finish adds elements of brown or green to the surface of the bead in an irregular pattern.